Information for the More Technically Minded! The EPA sets National Ambient Air Quality Standards (NAAQS) for the following six pollutants in the outdoor environment because they are known to have adverse effects on human health. Those who are greatly affected are the sensitive populations of asthmatics, children, pregnant women and the elderly. Our concern is the infiltration of these pollutants in homes, where the average person spends nearly 70% of his or her time. Carbon Monoxide (CO) - In homes, the major source of combustion pollutants are improperly vented or non-vented fuel-burning appliances such as space heaters, wood stoves, gas stoves, water heaters, dryers, and fireplaces. Carbon monoxide (CO) which is a colorless, odorless gas that interferes with the delivery of oxygen throughout the body. Carbon monoxide causes headaches, dizziness, weakness, nausea, and even death. Lead (Pb) – Lead is a common element found throughout the environment in many different sources. It poses a significant health risk if too much enters the body. The risk is especially high for pregnant women and young children. In recent years media attention has focused on the potential dangers to children from lead in and around the home. House Paints: Prior to 1950, lead-based paint was used on the inside and outside of most homes. It was used to make several colors, including white, and was known to dry to a hard durable surface. Though the use of lead in paint was reduced during the 1960's, it wasn't until 1977 that federal regulations virtually eliminated lead from paint for general use. Homes built prior to 1977 are likely to contain lead-based paint. Soil: Soil near heavily-used streets and roads may contain lead as a result of past use of lead in gasoline. Lead may also be found in the soil next to houses where the exterior was painted with lead-based paint. Lead buildup in the soil can contribute to high levels of lead in household dust. Nitrogen Dioxide (NO2) Nitrogen Dioxide is one member of a larger family known as Nitrogen Oxides (NOX). It is a reactive gas that is generated from high traffic areas, commercial combustion processes, home combustion appliances and fossil fuel powered (ex. Coal) generating plants. Ozone (O3) - Should ozone generators be used to reduce odors in the home or to purify the air? Studies in 1992, 1994, and 1996 all proved that when ozone reacts with chemicals it often produces irritating and even harmful by-products. Even when ozone breaks down long chain hydrocarbons (ex. smoke smell) the results may not be favorable. Odor reduction may be achieved in such situations with the consequence of increasing other volatile organic chemicals such as aldehydes and formic acid. Ozone can cause deterioration of rubber, plastics and other materials including the wiring in your house. 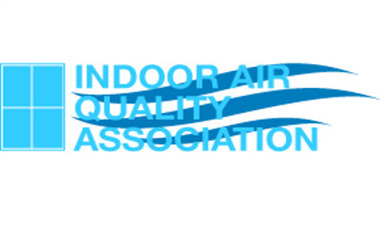 www.epa.gov/iaq/pubs/ozonegen.html to view a document entitled “Ozone Generators that are Sold as Air Cleaners: An Assessment of Effectiveness and Health Consequences”. Particulate Matter (PM10 and PM2.5) – According to the EPA, particulate matter (PM) has been linked to a range of serious respiratory and cardiovascular health problems. The key effects associated with exposure to ambient particulate matter include: premature mortality, aggravation of respiratory and cardiovascular disease (as indicated by increased hospital admissions and emergency room visits, school absences, work loss days, and restricted activity days), aggravated asthma, acute respiratory symptoms, chronic bronchitis, decreased lung function, and increased risk of myocardial infarction. Recent epidemiology studies estimate that exposures to PM may result in tens of thousands of excess deaths per year, and many more cases of illness among the US population. 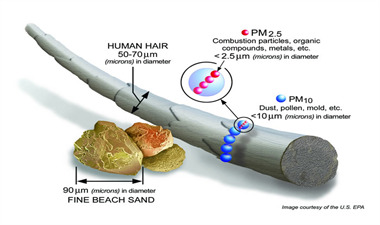 Particulate matter (PM) is an air pollution term for a mixture of solid particles and liquid droplets found in the air. The pollutant comes in a variety of sizes and can be composed of many types of materials and chemicals. Particles that are small enough to be inhaled have the potential to cause health effects. Of particular concern is a class of particles known as fine particulate matter or PM2.5 that gets deep into the lung. There are many sources of PM. The air pollutant can originate from natural processes, like forest fires and wind erosion, and from human activities, like agricultural practices, smokestacks, car emissions, and construction. Examples include dust, dirt, soot, soil, and smoke. Sulfur Dioxide (SO2) - Sulfur dioxide (SO2) is one of a group of highly reactive gasses known as “oxides of sulfur.” The largest sources of SO2 emissions are from fossil fuel combustion at power plants (73%) and other industrial facilities (20%). Smaller sources of SO2 emissions include industrial processes such as extracting metal from ore, and the burning of high sulfur containing fuels by locomotives, large ships, and non-road equipment. SO2 is linked with a number of adverse effects on the respiratory system. You should be concerned if you live near one of the above sources.